CHANGE YOUR DOG, CHANGE YOUR BUSINESS, CHANGE YOUR LIFE. If you’re ready to change your life, we’re ready to help! Internationally renowned dog trainers Jeff Gellman, Sean O’Shea, and Tori Smith have worked for years honing the training, business, and mindset skills that have allowed them to reach the top of their game. In this 7 day intensive program, students will be immersed in a supportive but challenging environment, designed to meet every individual where they’re at on their personal journey. We’ll leverage the group dynamics as well as one-on-one time for each student. Our goal with T3 is to help you find whatever is blocking you from reaching your dreams and goals (whatever they might be!) and to work together to find the solutions. We want you to succeed! 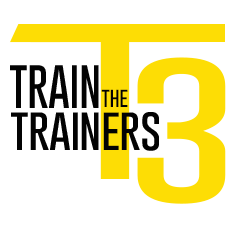 Whether you’re just thinking about a career in dog training, already started, or have been at it for years, we’re confident the T3 experience won’t just be a career changer, it will be a life changer. And after all, that’s truly the mission. For more information and to see upcoming T3 seminars, please visit the website!